mais Fanart. This is what I turn up with after browsing Deviantart, all credit to Renny08!. HD Wallpaper and background images in the anakin skywalker club tagged: star wars anakin skywalker hayden christensen episode iii. 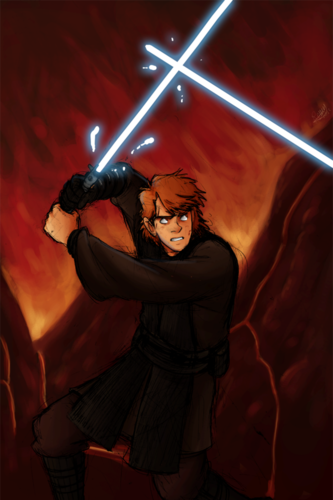 This anakin skywalker fan art might contain fogo, chamas, inferno, show, concerto, vedação de arame, cerca chainlink, and cerca de arame farpado. 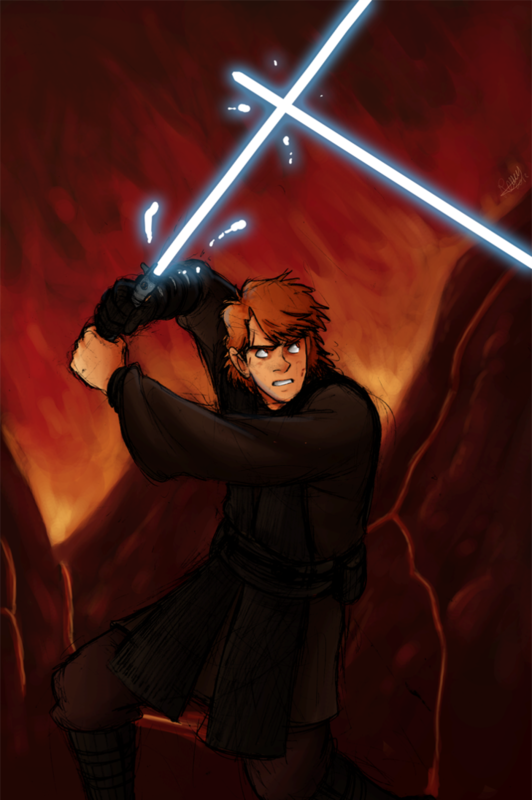 This looks like the duel on Mustafar from the expression on Anakin's face.